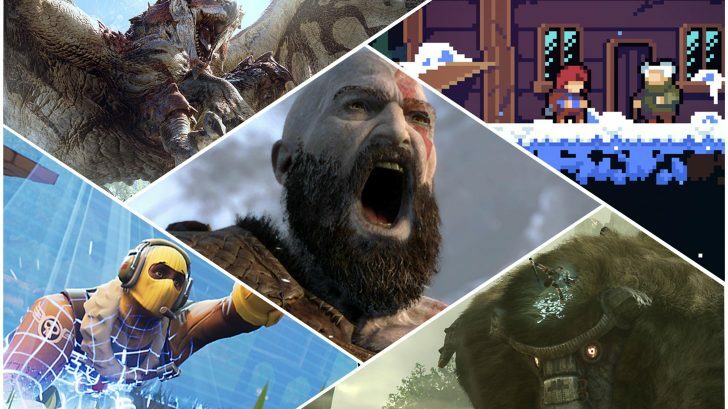 We’ve still got a few months left in 2018 but there is no doubt it has been one of the best years in gaming this generation so far. We’ve gotten great games from AAA publishers such as Monster Hunter: World from Capcom and God of War from Sony. We’ve also seen great games from indie developers such as Dead Cells from Motion Twin and Celeste from Matt Makes Games. In fact all of those games I named have scored a 90+ on Metacritic or Opencritic and upon looking into things, at this point, 2018 has more 90+ rated games than any other year this console generation. 90+ rated games have been less common this generation compared to past ones and there are even less when you don’t count remasters or ports which I didn’t for my count. The reason being it’s not really fair to count The Last of Us Remastered, GTAV, or Mario Kart 8: Deluxe when they essentially are just the same games that already scored really high on their original launch platforms. If a game is a remake rather than a remaster I counted it as there has been enough time between that game originally releasing and they usually consisted of more things than just increasing the resolution and including DLC. So just how many 90+ rated games have released in 2018 already? Six so far with those being: God of War, Shadow of the Colossus, Celeste, Monster Hunter: World, Dead Cells, and Dragon Quest XI: Echoes of an Elusive Age. That’s already a lot but what gets interesting is when you look at what is still to come in 2018. I think at least four games are likely to join this list by year’s end. Those being: Marvel’s Spider-Man, Forza Horizon 4, Red Dead Redemption II, and Super Smash Bros. Ultimate. These games might not score that high but it is looking pretty likely at this point. It’s possible some other games might score that high too such as Assassin’s Creed: Odyssey, Hitman 2, or others but those other four seem much more likely. So how do other years this generation stack up to 2018? Well 2013 had zero as the consoles had just launched at the end of the year and no game in the launch lineup scored that high. In 2014 we had zero as well if you don’t count remasters such as The Last of Us, Grand Theft Auto V, Rayman Legends, and Diablo III. It wasn’t until 2015 we saw our first original game this console generation score a 90+ and that was Bloodborne on PS4. In fact 2015 had quite a few in addition to Bloodborne such as: The Witcher 3: Wild Hunt, Metal Gear Solid V: The Phantom Pain, and Undertale. Again, I left off Shovel Knight on the PS4 as it originally released on Wii U prior. That means 2015 gave us four 90+ rated games and some truly memorable ones at that. Moving on to 2016 we saw another handful of games join the 90+ ranks. Those being: Uncharted 4: A Thief’s End, Overwatch, INSIDE, Forza Horizon 3, and The Witcher 3: Wild Hunt Blood & Wine which I’ll count given it was longer than a lot of full priced games released today. So that’s five in total in 2016 which is the same amount 2018 has now. I think we all agree 2018’s number is going to grow though. Finally, 2017 had some other memorable games with the Nintendo Switch being responsible for several of them. 90+ rated games last year included: Super Mario Odyssey, The Legend of Zelda: Breath of the Wild, Persona 5, Divinity: Original Sin II, and Hollow Knight. Just like the year prior, we had five games in 2017 that scored a 90+. Once again that’s leaving off games like Mario Kart 8: Deluxe and a few indie ports that came to the Switch after launching elsewhere. So in terms of 90+ rated games, It certainly looks like 2018 is going to be the best year yet for games this generation. At the least, 2018 is already one ahead of 2016 and 2017 right now but it’s likely it will move even higher. We’ll have to wait and see how the upcoming games shake out. What do you think? Do you think this is the best year for gaming this generation so far? Let us know in the comments. You’re selling a LOT of games short if you make the cutoff 90. Horizon was my GOTY last year- narrowly beating out Persona- and it definitely SHOULD have had a higher score than it did. Those mid to upper 80s games would change this argument quite a bit, I think.